On the shorter parts, i'm marking out for the tongues. 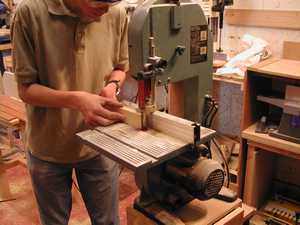 The shoulder (across the grain) cuts will be made by hand with one of my japanese saws. 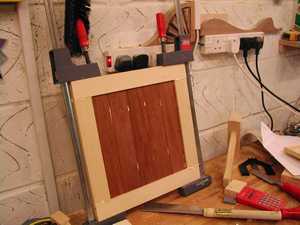 The cheek (With the grain) cuts are being made on the delta band saw here. This makes easy work! Here you can see the tongue. This will be glued into the groove. 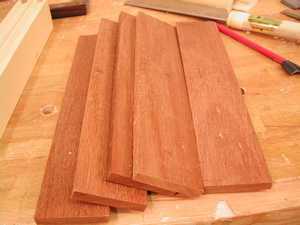 I have cut and machined these slats from mahogany. I think the contrast between the dark and the light will look fantastic, especially when the unit is given a coat of oil. I want to take the sharp corners off the slats, once together these will form V-grooves, which I feel will look really good. 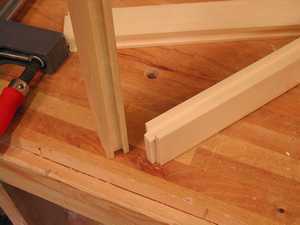 I've set my router table up with a chamfer bit, and I only have a portion exposed above the table. I've clamped 3 parts together now, with glue. Of course I did a dry fit before doing this. I am sliding in each slat. They sit in the groove we cut on the router table. 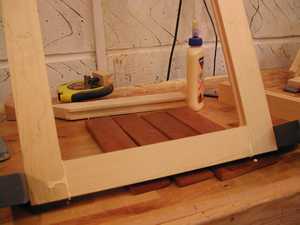 No glue near the end grain of the slats, however I am putting a couple of dabs along the length. These will keep it all the joins nice and snug over time. 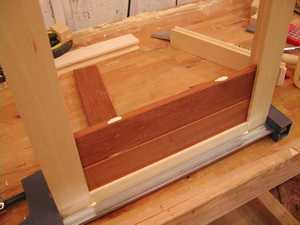 After sliding in all 5 complete slats, and a small section of a slat to finish it off, I clamped the other part of the frame in place with glue. After giving the whole project a good final sand, I decided on using an oil finish. I don't like using varnishes basically in 2 words....complete rubbish! I have found these foam brushes to be of excellent value. 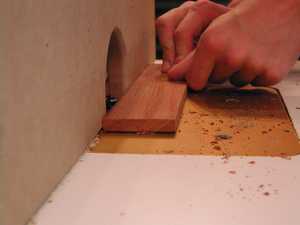 They are disposable, and help make the finish spread evenly on the timber. Being foam, they do not loose bristles or create brush marks on the finish! 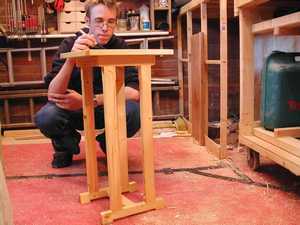 I am using boiled linseed oil, this is a suitable and natural finish for outdoors. It gives the timber a rich colour. Doing a blue peter here now. 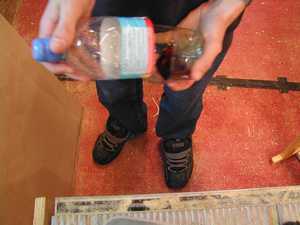 Cut a water or plastic milk bottle in half, use the bottom section as a place to put the oil as you apply it, then you can throw it instantly in the bin with no clean up. Its recycling! 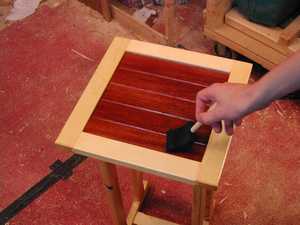 You can see how the oil really does absolute justice to the mahogany top.